Among the accoutrement of cozy, the blanket is a staple, and what better place to source this main article of comfort than from a region known for its rich history in textile production? Karur, India is such a place, where weaving has historically been an integral part of culture and daily life. 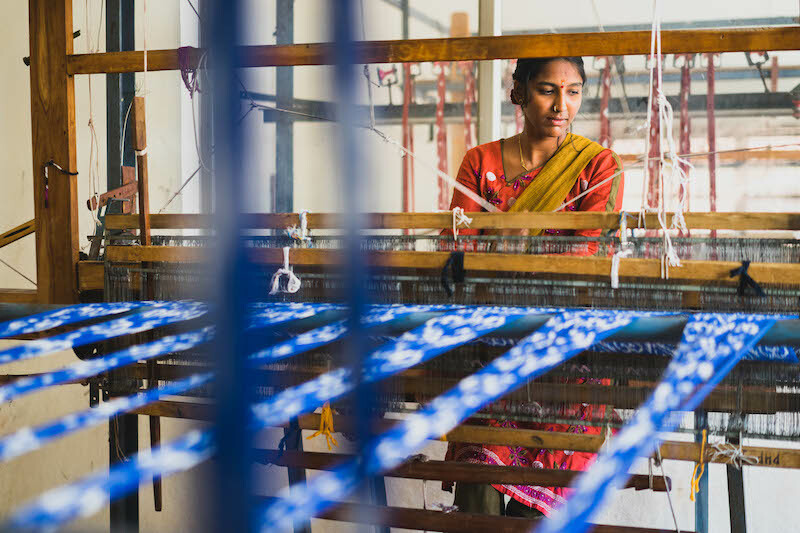 Partnership with the global textile company Piece & Co. allows Karur’s women weavers to bring their work to the world market and establish their traditional skills as a viable means of support for their families and communities. It also ensures that, instead of merely ending up as a memory in a museum somewhere, the craft itself stays alive. Karur’s textiles are good news for the environment, too. Your blanket is made of yarn woven from recycled cotton scraps, a method of production that saves land, water, and energy, while reducing landfill waste.